Abu Dhabi: Here is your chance to ‘visit’ Morocco right here in Abu Dhabi. 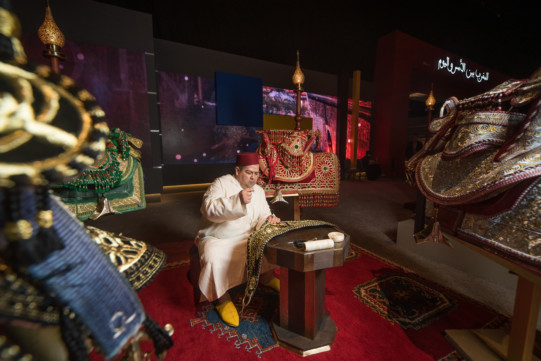 Morocco in Abu Dhabi, an event showcasing heritage, culture, music and art from the North African country bordering the Atlantic Ocean and Mediterranean Sea, opens in Abu Dhabi on Wednesday. 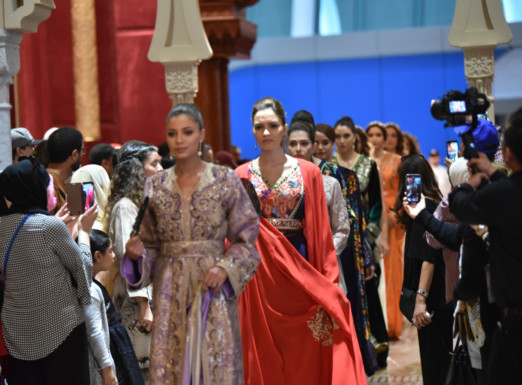 The UAE capital is hosting the fourth edition of “Morocco in Abu Dhabi 2019”, from April 17 to 30 at the Abu Dhabi National Exhibition Centre (ADNEC), in line with the objective of reinforcing ties between the UAE and the Kingdom of Morocco. The official opening is on April 17; it is open to the public from April 18. This year, the event offers visitors a great opportunity to explore Morocco’s rich heritage in architecture, music, art, and cuisine. Here's a look at what's on offer. This edition celebrates Moroccan women and their unique character of generosity, dedication, intuition, vision and creativity. Moroccan women are co-leaders in sustaining social and economic development as well as decision-making, and their great contributions are duly noted in the history of the Kingdom. 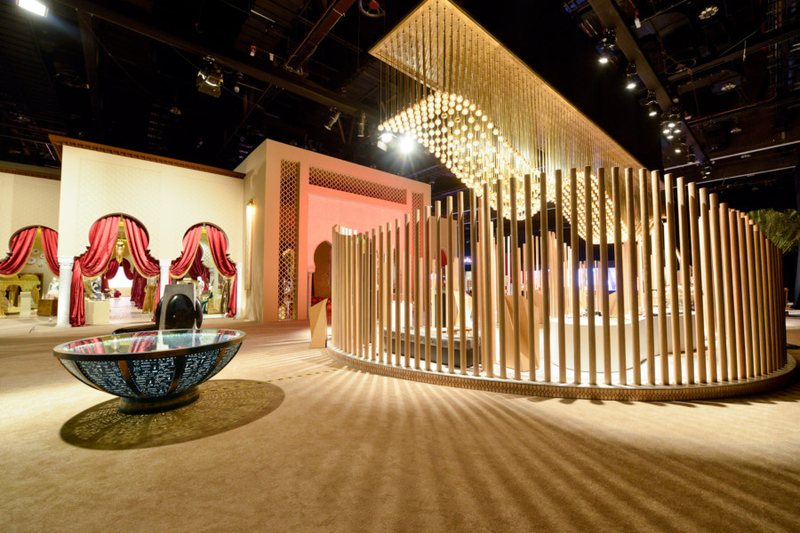 The event showcases Morocco’s traditional architecture; characterised by its simplicity and authentic identity. Facades are decorated with copper, carved wood and glaze, in a distinctive style that highlights the magnificence of traditional Moroccan craftsmanship. Moroccan music will entertain visitors to “Morocco in Abu Dhabi” with traditional, spiritual and tribal Moroccan rhythms under one roof. Music will set the rhythm of the event’s corridors and reflect the richness and vitality of its culture. Artists will showcase their talents as musicians and hosts throughout the day in a generous and hospitable atmosphere. Traditional industry enthusiasts will have the chance to explore and discover the skilled genius and gifted talents of Moroccan craftsmanship translating the old heritage and the Arabic Islamic legacy; such as brasseward, saddle making, jewellery, embroidery, raffia shoes, Cherbil, Tazwaqt, engravings on wood sculpture, pottery as well as the famous amlou, and Henna tattoo. Fashion lovers will admire the latest designs of caftans, through three themes inclusive of oriental and contemporary Maghreb embroidery and colour selection. The Moroccan caftan, which is a bright, colored and elegant fabric epitomizes fulfilled feminity created by imagination, and reveals a technical mastery which is characteristic to the Kingdom. Whatever is your view angle, embroidery, fabric, and ornamental laces will carry you into a world of dream. A special evening for an exclusive fashion show will be held during the event. Gourmet aficionados visiting the event can indulge in a refined blend of flavours and culinary conceptions. The selected chefs will bring a contemporary flavor to cooking traditions and will present a daily cooking show explaining how to prepare famous traditional Moroccan dishes. The skilled chefs will take turns to sharpen your senses to confirm the reputation and authenticity of Moroccan cooking. For the first time, the Museum of Moroccan Heritage will present history and antiquities lovers with rare display pieces, reflecting Morocco’s rich history and civilization, rooted in Arabic history and embodying the heritage of the many civilizations and migrations that crossed its land throughout history. The creative and innovative youth section expresses the creative young worlds, inspired by the design and youth symbolism from traditional engineering, as a place of Moroccan artistic expression. The “Lala Mannana’s Daughters” play, will feature heroines who will take spectators in a marvelous journey to the enchanting northern area in Morocco, where exciting singing, dancing, plot and fashion will turn the play into exceptional moments for the audience. The two-day music concert (April 18 and 19) at A’l Bahar Abu Dhabi Corniche, will be featuring a group of distinctive Moroccan singers, who will perform a selection of popular songs accompanied by a group of traditional Moroccan performers. The concert will also showcase a range of emotional musical performances which will take the audience on a Moroccan musical and historical journey. Star singers are Saida Charaf, Abdelhafid Douzi, Oulad El Bouazzaoui Band, Abderrahim Souiri, Zina Daoudia, Lamia Zaidi, Abdelali Anouar, Hayat Boukhriss, and Mohamed Alarousi. 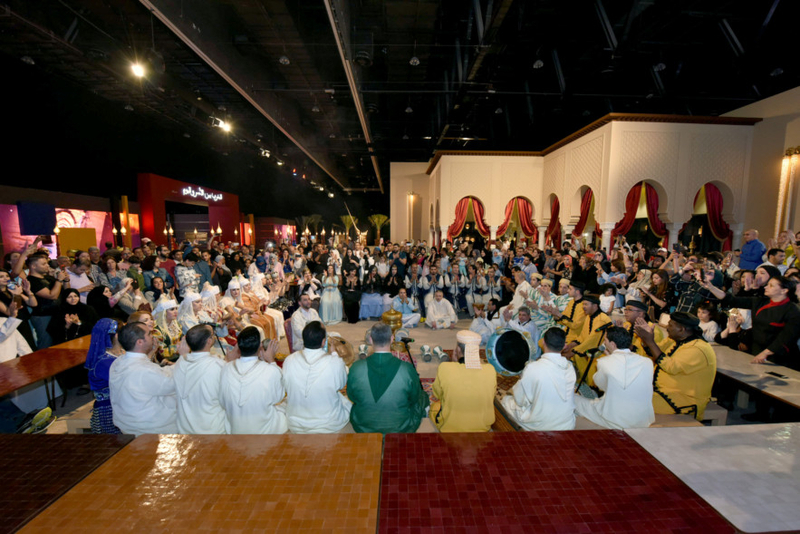 Morocco in Abu Dhabi is scheduled to include a variety of traditional musical performances and special activities for all ages. There will be musical performances that reflect various regional styles. At the end of each evening, visitors will enjoy a closing performance by the Moussem of Moulay Idriss, along with Essaoua Sufi musical band and a group of music performers.